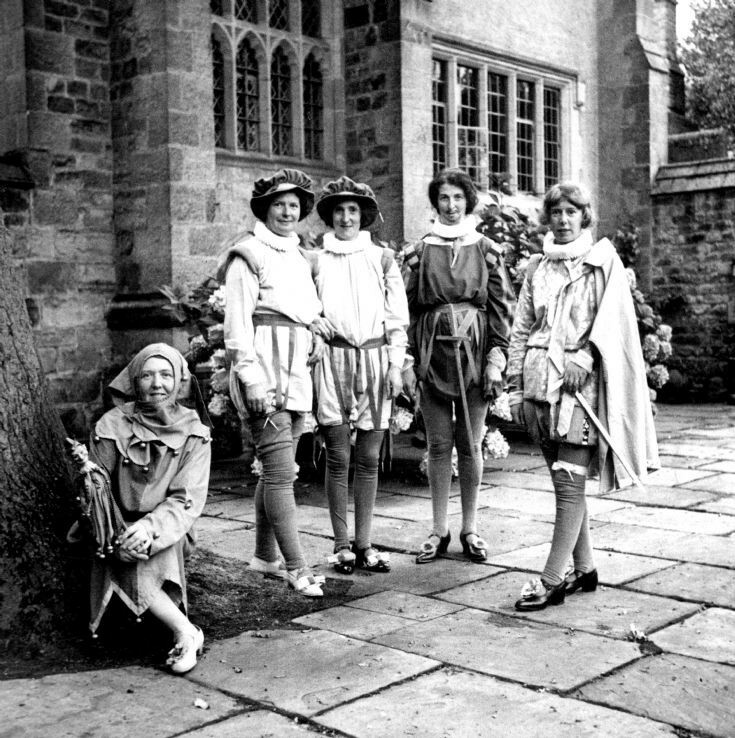 A few of the cast of the Shakespeare Society’s first production of “The Tempest” pose in their period finery in the courtyard adjoining Nymans house. From the left, they are: Miss Arnold, Mrs Hephzibah Doggett, Mrs Wilson, Mrs Toogood, Miss Jackman. Mrs Hephzibah Doggett's granddaughter, Linda Knight, has kindly supplied a cutting relating to the production from the Mid-Sussex Times. Select Large Version to view. Not Miss Jackman, but Mrs Peggy Funnell.